Immediately exciting and inventive, this is a thrilling story set in a universe made up of multiple worlds. Twelve years ago, Jane and her father arrived at the island of Bluehaven via a portal: a labyrinthine building known as the Manor. Ever since then, Jane’s father has been deathly ill, and Jane has been blamed by locals for causing earthquakes and anything else that goes wrong. Jane’s love for her sick father is palpable and when he suddenly disappears back into the Manor, she knows she must follow to find him and the truth of their origins. Inside the Manor there are endless doors and corridors, terrifying threats to her life, and powerful enemies, but also a friend—a trickster named Hickory. Jane is a wonderful character—warm, brave and funny—and the secondary characters are equally charming. The story resonates with references to classic heroic archetypes and mythology but is a unique and utterly compelling read. 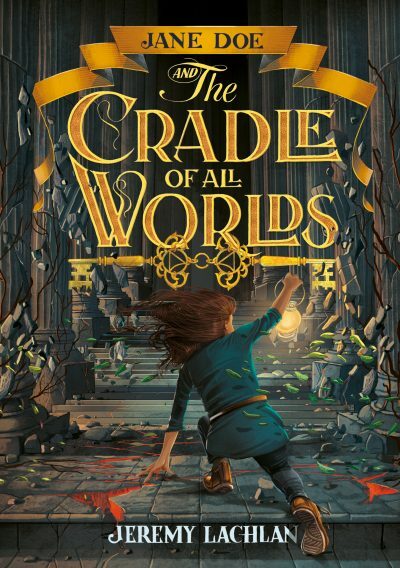 Jane Doe and the Cradle of All Worlds is the first in a duology, with the second book due in 2019. Already sold in at least eight territories internationally, this action-packed adventure thriller will appeal to a wide range of readers aged 11 and up, and could well be our next Nevermoor.